JINOU Bluetooth smart anti-noise helmet is a smart multifunctional helmet that can implement facial protection, anti-noise, answer the phone, listen to music. 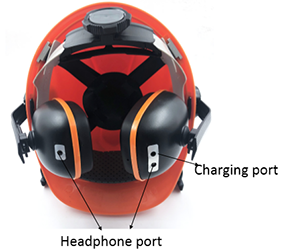 Wearing the Bluetooth anti-noise helmet, Users can not only avoid noise, but also answer the phone or listen to music. It is specially suitable for working conditions where is too noisy to hear the phone call. It can be widely applied in factories, engineering, forestry, fire and other industries. 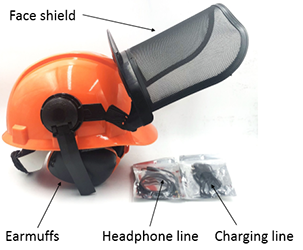 When wearing a common anti-noise helmet, the earmuff has the function of noise reduction, which reduces the interference of external noise to the ear, but also affects our phone answering. JINOU Bluetooth smart anti-noise helmet can be connected to the mobile phone through the Bluetooth function on the helmet. It can also listen to music and answer the phone while reducing external noise. It adopts the double-ear stereo design, and both earmuffs can transmit audio. Besides, there is an button function added on the earmuff, which can switch music at any time, adjust the volume and make it more convenient to use.